Enjoy yourself at America's Racing Showplace! There's never a dull moment at Las Vegas Motor Speedway, and you can easily become part of the action! Thanks to a number of firsthand experiences at the world's most diverse motorsports facility, you can do everything from getting behind the wheel of a race car to enjoying a VIP tour of the property to picking up one-of-a-kind merchandise, all the while making memories to last a lifetime. The NASCAR/Andretti Racing Experiences will give you a chance to feel what it's like to be a race car driver hitting triple-digit speeds on the 1.5-mile superspeedway! 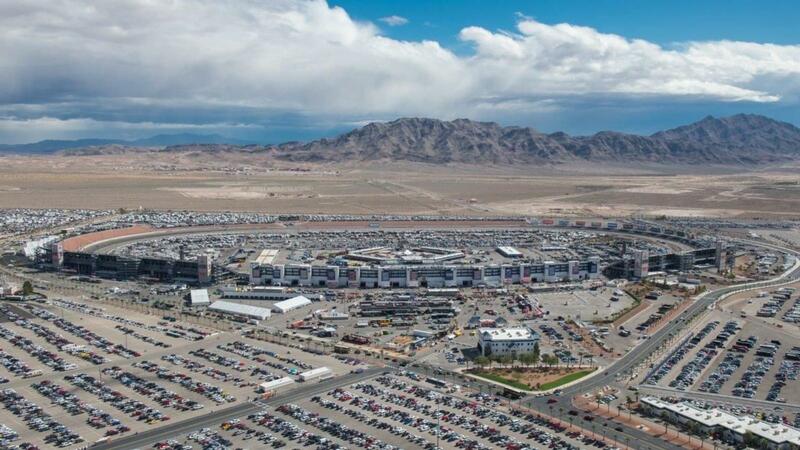 Ride along in a NASCAR stock car or Indy car, or take the wheel yourself and experience the thrill of LVMS' 20-degree banking in the turns and the lightning-fast straightaways. Through Dream Racing on the Inside Road Course and Exotics Racing on the Exotics Road Course, you can live a dream of driving elite super cars from manufacturers like Lamborghini, Ferrari, Porsche, McLaren, Aston Martin, Audi, Mercedes and more! Navigate your way through turn after turn on the exciting tracks and leave with a smile on your face that won't soon fade. Get the latest and greatest racing merchandise at the LVMS Gift Shop, then take a VIP tour of the facility and get a behind-the-scenes look at what makes LVMS special. The possibilities are endless at LVMS!